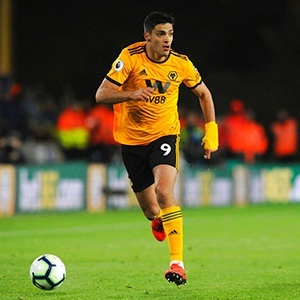 London - Wolves broke their club transfer record on Thursday to ensure top scorer Raul Jimenez remains at Molineux on a permanent deal worth a reported £30 million from Benfica. The Mexican has scored 15 goals in his debut season in England as the Midlands club have enjoyed a fine first campaign back in the Premier League. Nuno Espirito Santo's men beat Manchester United for the second time in three weeks on Tuesday to remain seventh in the Premier League and face Watford in the semi-finals of the FA Cup on Sunday. Jimenez scored in the first of those victories over United and was also on target in memorable wins over Chelsea, Liverpool and Tottenham. "Since I’ve arrived here it’s all been so good," Jimenez told the club's website. "We’ve had some good moments, some bad moments; but the best ones have been so good and I’m very happy for that." The signing of the 27-year-old takes Wolves' spending to around £164 million since Chinese owners Fosun took charge of the club in 2016. "The impact Raul has made during his short time at the club has been fantastic and we’re delighted that he’ll be part of the club’s long-term future," said Kevin Thelwell, Wolves sporting director. "Raul’s permanent signing shows the ambition of this football club and the determination to make sure the future is an exciting one."